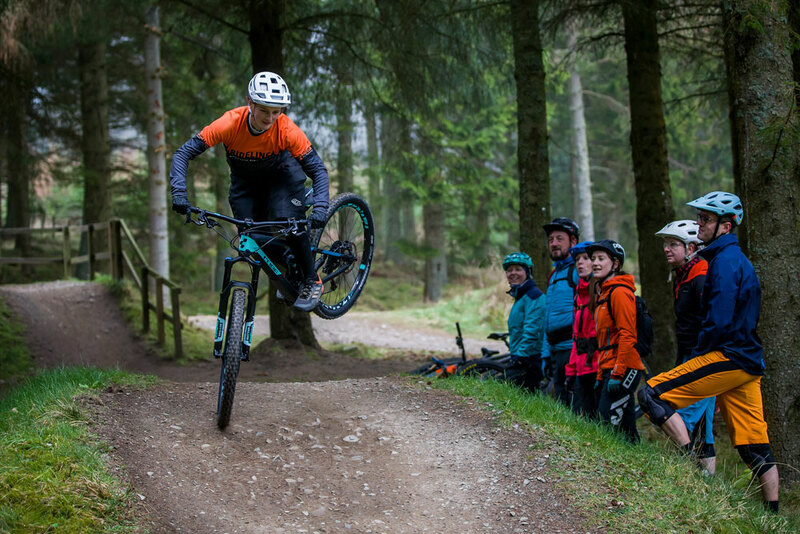 Ridelines Learn to Jump Course - Learn how to jump your mountain bike.Ridelines Learn to Jump Course - Learn how to jump your mountain bike. GET AIRBORNE WITH REAL CONFIDENCE. On our learn to jump course, we look to install in you the confidence to get air safely and with style. We do this by teaching you tried and tested techniques and tips, dispelling the myth of difficulty surrounding jumps. Jumping your bike can be a daunting experience, but in a very short time, we can we can give you the gift of getting air. So put away your reservations and book on now! This course is for the jumping beginner or the returning mountain biker that would like to re-dial the fundamentals. Get your bike airborne with confidence. 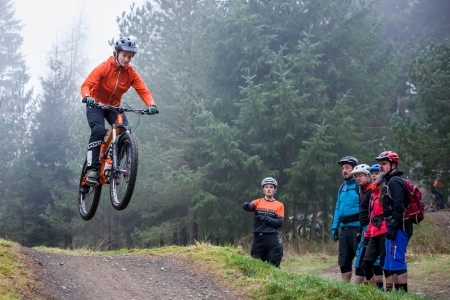 Learn to jump your mountain bike. Is there anything more fun? Well the FUNdamentals are simple! Our Jump course will teach you techniques you can use in every day riding, giving you confidence in the air. But as well as learn to jump, we’ll teach you how to find flow, pump to maintain momentum and set yourself up for jumps. We’ll also touch on manuals, bunny hops and using your weight effectively. All of these tools are put together to learn to jump your mountain bike. Advanced body position for jumping. The Ridelines learn to Jump course is for the jumping beginner or the returning mountain biker that would like to re-dial the fundamentals. It will give you some speed and flow in your pocket and boost your confidence in attacking blind trails. If you have any questions about the Jump course please contact us. Suitable MTB in good working condition. An undamaged well fitted modern bicycle helmet and full fingered gloves. Please bring snacks and at least one litre of water. Please wear clothing suitable for the days conditions. Knee pads and protective eyewear are recommended but not essential. Riders who are confident on red trails and with obstacles associated with red trails. No jumping experience is required to attend the course. The course will start at 9:30am and will typically run no later than 3:30pm. This is delivered as a low pressure course but can be both mentally and physically taxing. With this in mind, you should also expect to finish as early as 2:30pm. IMPROVE YOUR RIDING ON RED AND BLACK TRAILS. For those that want to ride faster and with confidence over more technical features. Supercharge your riding with an injection of specific skills. Corner with more confidence, conserve speed and create momentum by smoothing out the trail ahead, finding new lines over more severe trail conditions. 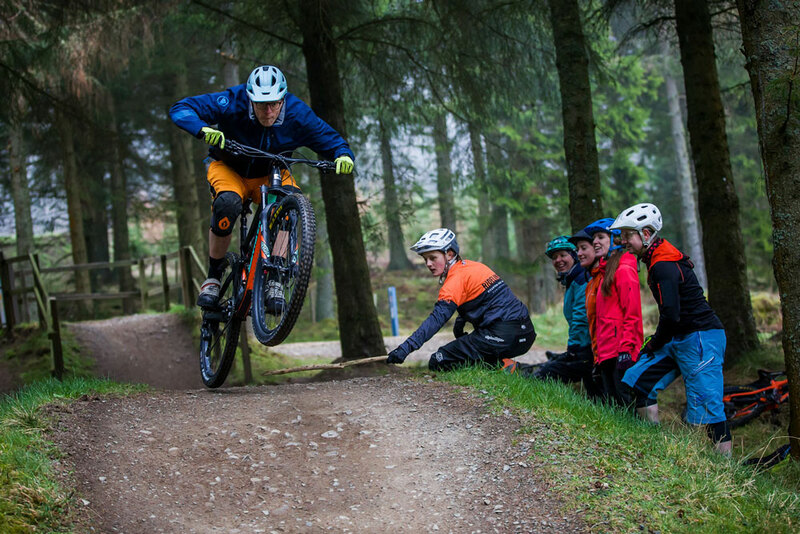 Ride faster, ride safer and give yourself a can-do attitude with our intermediate skills course. This course is for the rider that has existing basic skills and confidence. To take the guesswork out of aggressive trail riding and inspire your riding style. 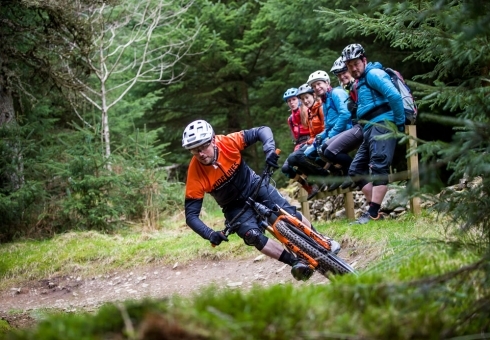 LEARN TO RIDE STEEPER TRAILS WITH CONFIDENCE. You know you want to do it, but you’re not sure if you can? 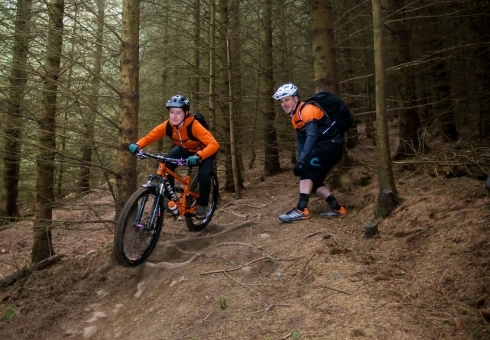 On our Enduro preparation course at Innerleithen we’ll explain how to pick lines, find grip and hit the tricky stuff. You may have an idea about this stuff, but at Enduro Prep we’ll do it all on steeper terrain. Ride the famous trails at Innerleithen and maybe ever a wee coffee and cake at No1 Peebles Road. For the more experienced trail rider that wants to handle the rough stuff and get the most out of steep and loose terrain. Get started on your journey to real mountain biking! Hosted at Glentress. Learn the essential skills for tackling common mountain biking trail features. We’ll give you the tools to make yourself ready at all times to tackle the trail ahead of you. 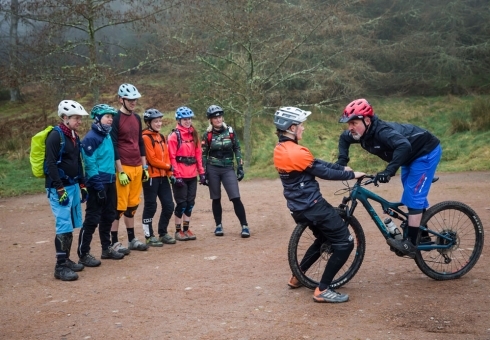 From positioning yourself correctly on the bike to absorb obstacles and promote freedom of movement, to maintaining your momentum, learning how to stay in control with the confidence to start tackling more technical features. 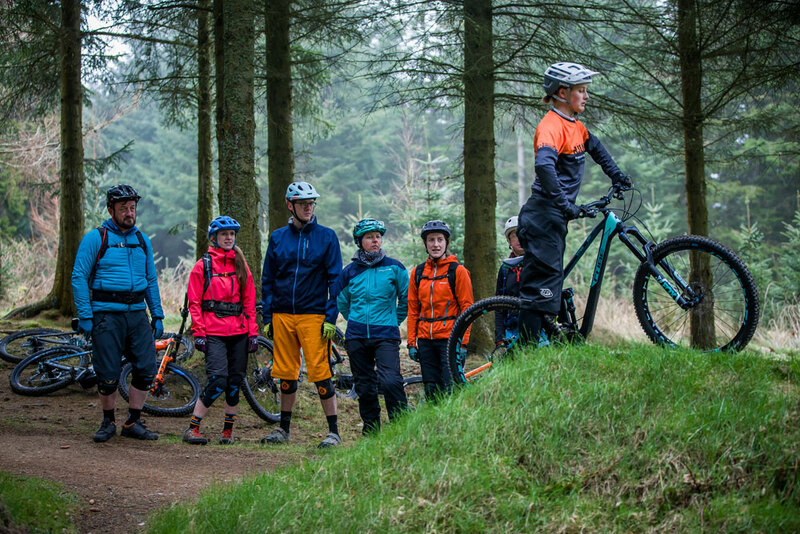 This course is for the new or lapsed mountain biker that needs to build or re-establish the basics in confident, safe trail riding.